Step into a modern office and it may feel like you’ve walked into someone’s home by mistake. There are likely to be sofas and soft furnishings, breakfast nooks and bookcases, perhaps even bean bags and games consoles. And if you’re there for a meeting, it may happen in a quiet corner rather than a separate room. 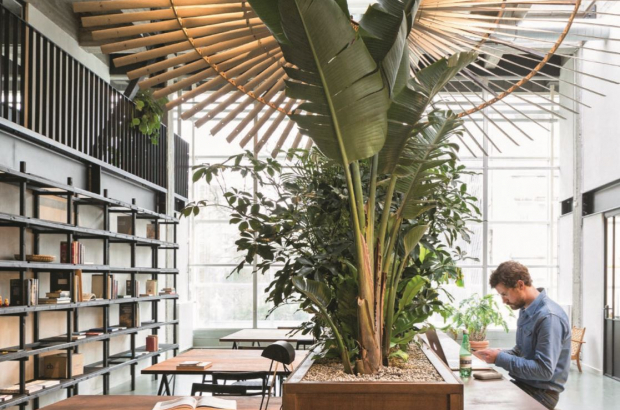 This approach to office design is part of a trend being adopted across Belgium that sees people increasingly comfortable – and increasingly productive – when working from home or on the move. When they absolutely have to be in an office, many would like the same kind of flexibility and comfort. 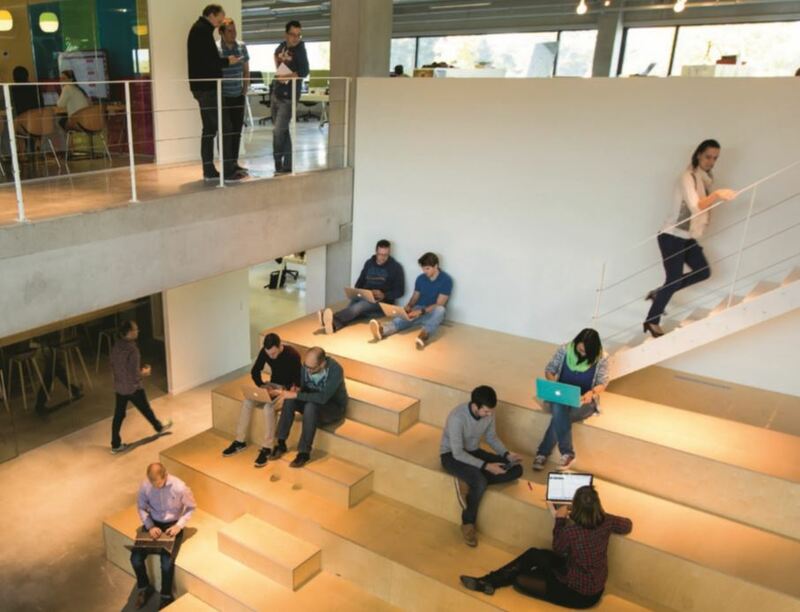 Another influence has been the rise of co-working offices, where start-up companies or freelancers rent space and benefit from the sense of shared creativity they lack while working in isolation. This has inspired more conventional companies. At the other extreme there is the ‘war room’ for more intense brainstorming. “You can put your ideas up on the walls, and there is coffee, tea and biscuits, so you don’t have to go outside. You lock yourself up for a couple of hours, let the energy flow and the creativity come.” Elsewhere there are cosy corners, communal tables and fully upholstered rooms where you can flop and work, or even take a nap. 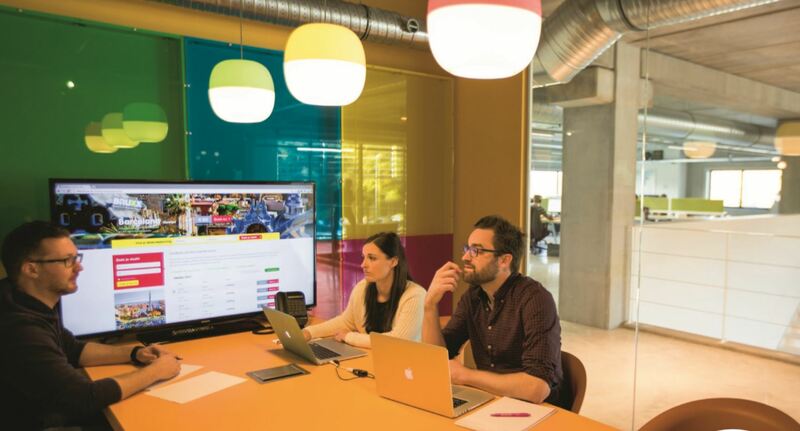 One company that has embraced this approach is Intracto, which provides consultancy, strategy and marketing services in a range of digital areas. “We are creative technology agency, and we believe the creativity we deliver in our work should be reflected in our day-today environment,” says managing director Pieter Janssens. The library and coffee bar are self-explanatory, but other areas involve looser interpretations. The candy store, for example, is a room with brightly coloured furniture and lights, its walls inspired by the M&Ms wall of chocolate in New York. The pop-up store is a meeting room furnished with warehouse pallets and second-hand chairs. Staff pitch in periodically to reinvent the space. Since Intracto moved into the building in 2015 its staff has doubled, from 70 to around 140 people. The open design has absorbed the growth well, Janssens says, although noise can sometimes be a distraction. And he has kept the third floor free of office space, opening for outside events such as seminars, training sessions and other meetings. So rather than a dead space, it is working hard for the company. “In the short term it didn’t look like a good investment, but when you take everything into account it was a pretty smart move for us.” With the company still growing, Intracto is starting to think about its next campus. The idea is to build near by, and use the existing building as a co-working space for start-ups.